Odor or Odour? Innofresh and Fridge IT activated charcoal available in New Zealand and Ireland. Innofresh and Fridge IT activated charcoal odor eliminators are now available for our friends in New Zealand and Ireland as well as Canada, England and Australia. If the smell in your refrigerator, freezer, car, pet area, work area or home is spelled “odour”, then you may be one of our readers from the U.K. Our activated charcoal odor eliminators are available for convenient on-line shopping from our website and we ship to England, Canada and Australia and NOW, to Ireland and New Zealand. We now accept on-line orders for all our fragrance free, eco-friendly, activated charcoal odor absorbers from our shopping cart at www.innofresh.com for Canada, England, Ireland, New Zealand and Australia. To keep your costs down, we offer standard shipping with only a small added surcharge. Please visit our website for details or contact us at customerservice@innofresh.com with any questions. Also, for our customers in England, our popular “original” FRIDGE IT Cube is also available at all the Lakeland Limited stores and catalogue. Fridge It has been a favorite odour absorber in England and throughout the UK for years for use in refrigerators, freezers, kitchen trash, under sinks, cabinets and just about everywhere else around the home. Lakeland Limited quotes on their web site, “Highly recommended by us and many happy customers” Fridge It odor (odour) absorbers are completely fragrance free, chemical free and the preferred choice to eliminate even the toughest odors and unwanted smells in your refrigerator, freezer and ice bin. Not just the easy odour but the toughest, hard to eliminate odour too! Now, also available for our customers in New Zealand. In addition to ordering on line with us, you can now order from a local distributor in New Zealand – Mr. Cool Refrigeration. Many of our blog, twitter and website visitors have asked if they can buy our amazing, fragrance free, activated carbon FRIDGE IT and Innofresh odor ( odour) absorbers internationally. To purchase FRIDGE IT and Innofresh odor absorbers from our shopping cart, just click on this “buy now” link. For more information about FRIDGE IT and our other activated charcoal odor (odour) eliminators made for pet odors, car odors and closet, footwear and sport odors, please visit our web site at www.innofresh.com and also read some of our other blog postings about all our fragrance free activated carbon odor absorbers. Tips on how to eliminate even the toughest odors from your refrigerator. When should you use Activated Charcoal instead of baking soda? A common question that we get all the time is “Does baking soda really work to get rid of smelly refrigerator odor”. Well, our answer is yes and no. Here’s why. Baking soda doesn’t really eliminate odors all that well. An open box of baking soda in your refrigerator will absorb some odors, especially if the odors in your refrigerator are “acidic”. The alkaline baking soda can absorb many of these odors. But, even then, as the powder in the box contacts water vapor, it tends to cake over and lose most of its effectiveness. 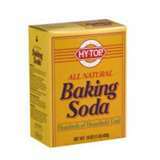 So, the bottom line is that baking soda does work for some odors and for a limited time can be reasonably effective. However, if you are looking for the better odor absorber, activated charcoal wins hands down. The fact is that activated charcoal or activated carbon is an incredible odor absorber and we recommend it, particularly if the odors are particularly bad and for odors that are not “acidic”. Activated carbon is the natural material that is used in water treatment facilities and even in the medical field for its ability to absorb contaminents. 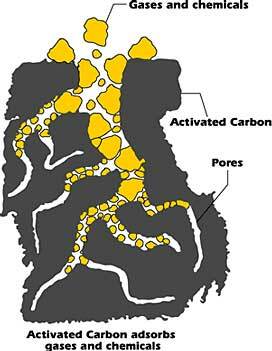 The natural material “carbon” is treated in a process that produces a highly porous material which “activates” it so that it can absorb an incredible amount of odors and contaminants. Fridge IT and Innofresh activated carbon odor absorbers provide superior and long-lasting odor elimination for the toughest odors. Our micro-vac technology produces a highly absorbent natural odor eliminator with ventilated activated charcoal. Save money and time with this 21st century solution to eliminating odors – whether in your refrigerator, freezer or other musty, smelly areas in your home, pet areas, car, dorm, basement and much more. For more information about FRIDGE IT and INNOFRESH activated charcoal odor absorbers, come visit our website at Innofresh. Also, you can now shop directly on-line with us at ShopInnofresh. All our products are proudly manufactured in the USA. Guide To Cleaning Your Refrigerator and How To Eliminate Refrigerator and Freezer Odor For Good. Most people don’t know this but November 15 is actually a holiday – It’s National Clean Out Your Refrigerator Day. No kidding. If you want to learn more about this holiday, click on this link to another post of mine that explains the history of this curious day National Clean Out Your Refrigerator Day. PLUS, look for great 20% savings – click here. Well in honor of this special day, I thought it would be appropriate to reprint a quick and easy guide to cleaning out your refrigerator plus tips on how to eliminate refrigerator and freezer odor for good. I found the attached guide simple and easy to follow, reprinted with permission from LoriW – special thank you to LoriW. Guide to How to Eliminate Refrigerator and Freezer Odor For Good. Reprinted with permission from LoriW. Everyone I know seems to have a problem with refrigerator and freezer odor. It’s a big problem that can cause major cross food contamination, faster food spoilage and bad tasting and smelling ice as well. With this short guide, you will eliminate refrigerator odor and freezer odor for good. Here is the important part – “safely” – without harmful chemicals and fragrances. It’s not the cleaners but how you clean that is the key. This will save you time and money in the long run and keep your refrigerator odor free for good. All you need is three things. It’s been my secret for years (along with dozens of friends). 1. The first step is probably the hardest. Need to remove ALL your items from the refrigerator. This is not a necessary step for your freezer unless you had a defrost problem. If so, then, remove freezer items as well. This process won’t take long, so no worry about food spoilage if you stay on task. Be sure to actually discard all items that should be thrown out at this point, especially if they already smell like something other than what it is. ie. cheese smelling like onion. For those products, it is too late. 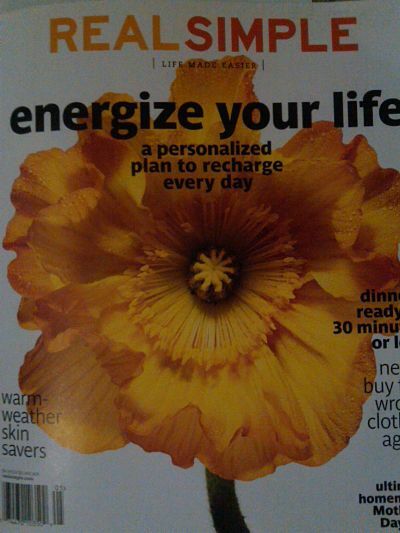 My personal goal is 10% – 20% of the items should be tossed because they are just expired. 2. Now, time for a little (really only little) elbow grease. Using paper towels and some water along with just a little antibacterial dish soap, start at the top of refrigerator (inside ceiling) and start working your way down making sure to wipe down the sides and each shelf along the way. After each section is completely cleaned, wipe with dry paper towel to get rid of any moisture. If your refrigerator has racks instead of shelves, wipe the racks down or better yet, remove from refrigerator and wipe down over sink. I find that the antibacterial soap is mild and works great. No need for harmful bleaches or other chemicals. An area that many people forget about is around the door and bins AND inside the bins. These are really important since often liquid drips down into these and can really begin to smell after awhile. Just wipe with soap and water all around the rubber seals. Check the door hinges as well. These often are a great hiding place for spilled things. You may need to use an old toothbrush to get into those places. Time to put everything back now. Don’t forget the 10% rule. 3 Now, the freezer. Unless you’ve had a problem with defrosting, I find that just concentrating on the ice bin now takes care of most problems. Time to empty out the old ice which may have taken on some of the “old” smell. With ice bin empty, just wipe down with plain water (no soap) and dry before placing back into freezer. Your refrigerator is clean. Now, to keep it smelling clean and as fresh as possible while protecting food smell cross contamination, the only product I recommend that works the absolute best is made with activated carbon. The brand that I’ve used for years and recommend to all my friends is a little purple cube called FRIDGE IT activated carbon odor absorber. They are so convenient to use and I believe actually saves me time and money since I’m not throwing out as much, refrigerator never smells and these odor absorbers last for a long time. I just place one on each shelf and one in each bin in the refrigerator. I also keep one in my freezer near ice bin. So, that’s it. No chemicals, no fragrances, no messy baking soda. Shop on-line at ShopInnofresh for fast and convenient ordering and shipping. All our products are proudly manufactured in the USA. The office breakroom. Now, that’s a study in human behavior. I have to say that at least our breakroom at Innofresh has the best smelling, cleanest refrigerator and odor free trash and sink area. Of course, when you have a great supply of FRIDGE IT activated charcoal odor eliminators always on hand, it sure helps. How about you? Do you have an office breakroom that can use some, ah hem, “help” ? Write to us and include a photo of your breakroom fridge and tell us about it. You might just end up with a couple of free FRIDGE IT odor absorbers. Send your story and photos to customerservice@innofresh.com or leave with comment with photo on this blog. Have you opened the refrigerator or freezer and almost passed out from the odor coming from inside? You know that pungent smell coming from someones leftover lunch from 3 weeks ago. Breakroom refrigerators and how to eliminate refrigerator odor is one of our top search terms as well as questions about how to get rid of bad odors from breakroom trash and sink areas. We’ve all been there. You reach for your lunch sandwich in the office refrigerator, only to be met with the worse smell from decomposing food. To make matters worse, someone already took your sandwich, right! In 2009, you may have read about the refrigerator odor problem at the AT&T building in San Jose, California. This is a true story. It seems that the office refrigerator was so noxious from food smells, that when an employee took it upon herself to clean it out along with using some chemical cleaners, it sent several of her co-workers to the hospital and prompted the evacuation of 325 people from the building. It turned out that a combination of the odor and using the wrong cleaner sent noxious fumes through the air. Now, hopefully your office refrigerator isn’t quite that bad. To avoid the bad smells and noxious odors coming from an over crowded and neglected refrigerator, here are a couple of steps. Step 1. Assign someone responsible for posting a sign on the refrigerator that says something like “Every Friday, this refrigerator will be cleaned out so if you don’t throw it out, we will”. Then, on Friday’s before closing up for the weekend, that person would be responsible for throwing out anything left in the fridge that could potentially start smelling. Step 2. I know this sounds like a sales pitch, but make sure you put a couple of the FRIDGE IT ®Cubes in the fridge. This will take care of any lingering odor in the refrigerator. Also, place one or two units under the sink, near the trash to keep the the entire breakroom smelling fresh and clean again. The refrigerator that smelled terrible will now be a joy to open and use. It might even inspire employees to help keep the fridge clean. You don’t have to take my word for it. FRIDGE IT “absolutely does work” as seen on NBC’s KAMR Does It Work Segment. FRIDGE IT odor absorber performed so well in eliminating refrigerator odor that they gave it their highest rating. Click on this link to see the 2 minute spot on YouTube KAMR DOES IT WORK. FRIDGE IT has a ventilated, activated carbon filter that is amazing and is the ec0-friendly choice for even the worst odors in refrigerators and freezers. Completely fragrance free and chemical free, the activated charcoal absorbs and eliminates the odor for good. By eliminating odors, this also reduces cross contamination of smells in your refrigerator so your sandwich won’t taste like your co-workers french onion salad. Tested against baking soda, activated charcoal is the clear winner for eliminating odors in refrigerators. Not only is FRIDGE IT great for the refrigerator and freezer, but you can use the power of our advanced activated charcoal filter in so many other areas around the office and home including under sinks, near trash and garbage areas, closets, cabinets, storage, pantry, garage and even smelly dorm rooms. FRIDGE IT works so well that it is even the fragrance free choice for dead mouse odors behind walls. FRIDGE IT and Innofresh odor absorbers don’t mask and cover up odors – they eliminate odors for good. 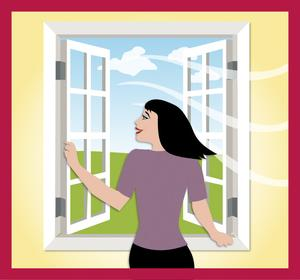 Please visit our web site at www.innofresh.com for more tips and learn about our full line of fragrance free odor eliminators. You can also conveniently shop on line at www.innofresh.com We make every effort to ship within just 1 – 2 business days and now take advantage of our automatic free “Rush” upgrade and ship PRIORITY US Postal Service for fast delivery. Only our standard ship and handling fee will apply (International orders are shipped US Postal Service regular ground delivery). Want to save even more – with our “warehouse case” buys, you save everyday and for a limited time, receive free shipping on warehouse case buys. The better choice and safer alternative – All our products are proudly manufactured in the USA with safety and your satisfaction the highest priority. Please enjoy our other blog articles for other helpful tips. We love your comments and referrals. The Perfect Pairing of our most popular activated charcoal odor absorbers. Now, you can order your two favorite odor (odour) eliminators together as a combination pack of three (3) Fridge IT cube and three (3) Fridge IT wafer odor absorbers. 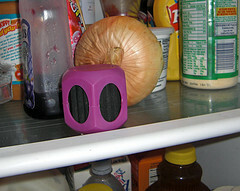 Of course, FRIDGE IT cube is the best answer for even the worse refrigerator odors. One of our most common inquiries is how to eliminate refrigerator odor. If you are still using baking soda for refrigerator odors, you may want to see this TV segment from The Food Detectives which demonstrates how much better activated charcoal (or activated carbon) is than baking soda. 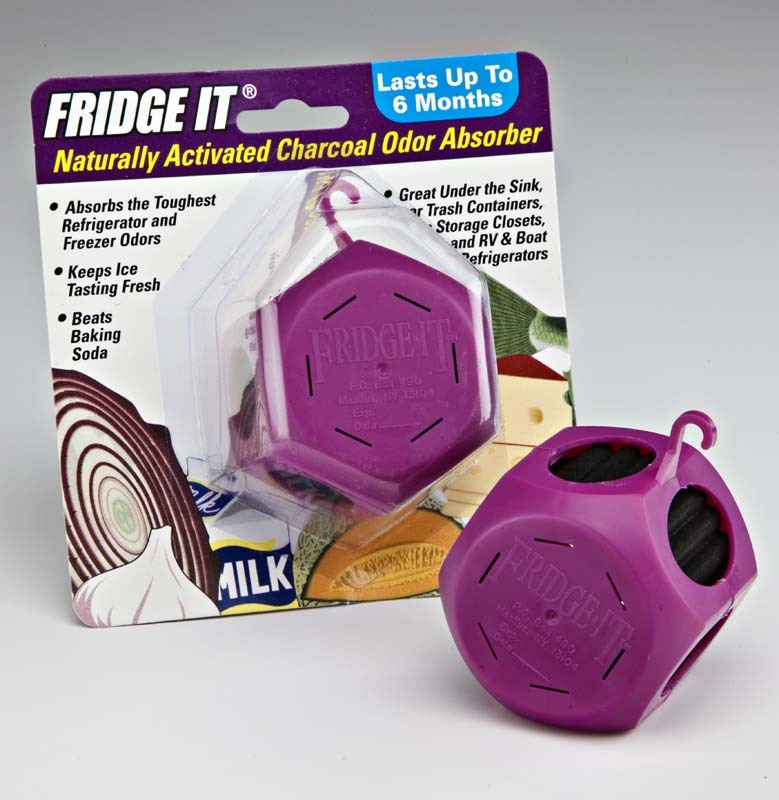 Fridge IT activated charcoal odor absorbers beat baking soda. Our popular Fridge IT cube can hang from a shelf or just place right on any shelf or bins to get rid of the odors and reduce cross contamination of food odors. You’ll save both time and money. Our Fridge IT wafer has the same superior activated charcoal as the “Cube” but designed for tighter areas where you can conveniently just place or clip on FRIDGE IT using the convenient built in clip on feature on the back. 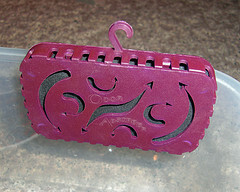 Great for clipping onto trash cans or just placing in drawers and cabinets. Of course, both FRIDGE IT cube and FRIDGE IT wafer use our patented ventilated air flow and natural activated charcoal to provide you with safe and effective odor control. Completely fragrance free and allergen free, FRIDGE IT activated charocal eliminates the odor for good. Great for refrigerator and freezer, but also in so many other areas around your home including under sinks, near trash, cabinets, closets, storage, garage, basements, musty rooms, smelly dorm rooms and even diaper pails. Fridge IT activated charcoal is so effective, you can even use these to help safely eliminate the horrible smell from dead mice. It’s that time of they year and dead mouse odor behind wall or in vent and closets are a very common problem that we can help with. To order our popular FRIDGE IT combo pack (3 each – total of 6 odor absorbers), just click on BUY NOW. You can also visit our website at www.innofresh.com for more information or choose from one of our other product selection or combination packs. All our products are proudly manufactured in the USA. Fast ship is important so we make every effort to ship within just 1 – 2 business days and now, take advantage of our free upgrade to RUSH PRIORITY US Postal Service so that you receive your order quickly. Just our standard shipping and handling apply. (International orders are shipped US Postal Service regular ground delivery).